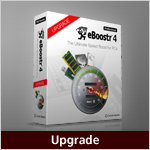 If you have a previous version of eBoostr or a eBoostr 4 lite/desktop/notebook editions you may be entitled to a special offer upgrade to the full eBoostr 4.5 Pro version. Contact Customer Support to find out more and have your "sales code" or a long “license key” ready. 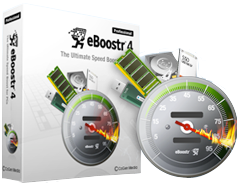 Click here to find out more about the new and improved features of eBoostr 4.5 Pro.